We have physical copies of some current newspapers and magazines on level 2 of the Library near the new books. Older editions of these newspapers are stored in our Automated Retrieval Collection. In Factiva, you can search within the paper you want by searching under 'Sources', or browsing by the first letter of the newspaper's title. Once you have selected the newspaper you want, type your keywords into the search box to see articles from this paper. You can also limit your results to a certain time period. To find newspaper articles on a particular subject, use one of the key Newspaper databases below. Access to newspapers and magazines online, including film and television reviews. Indexes articles in Australian daily newspapers. Full-text is not available through this database. Full text for over 700 United States and international newspapers. It also contains full text television & radio news transcripts. 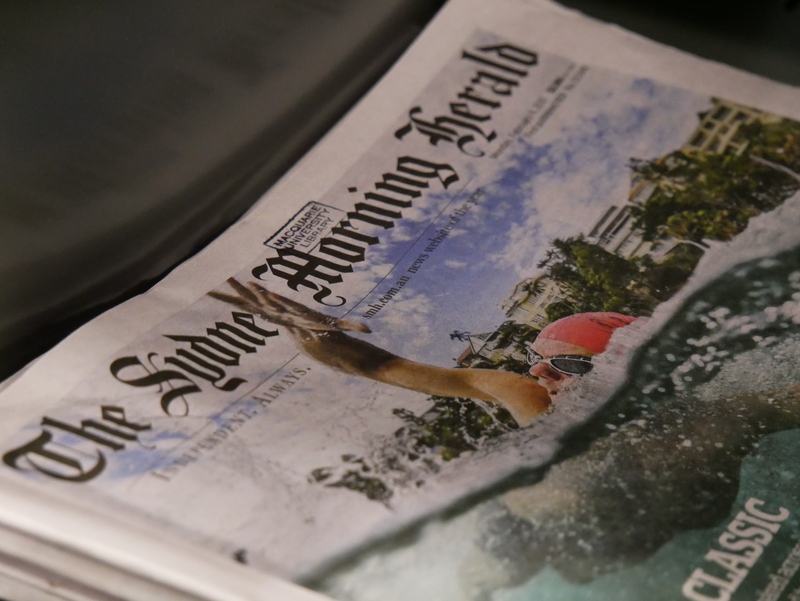 The service includes newspapers published in each state and territory from the 1800s to the mid-1950s, when copyright applies, as well as some later issues to 1982. The first Australian newspaper, published in Sydney in 1803, is included in the service.